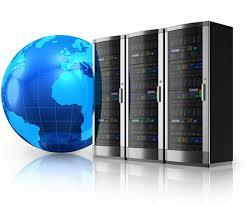 The dedicated server is nothing more than a real machine, where resources are for the exclusive use of a customer. So we do not talk about virtualization as in the case of Virtual Private Servers or the more flexible and optimized version of the Cloud Servers but of the CPU, RAM and Hard Disk physically available that the customer rents in order to manage their web services. As a consequence, the administration of the same is completely at the expense of the user who can install and configure all the services he needs. At the time of activation, in fact, the server is provided with root access and, with the subsequent modification of the password, the holder remains the only one to have access to it. As an alternative, the server management service is also available, defined as full-managed, which allows the maintenance and updating of the server to be delegated to our system operators. It is also possible to request the installation of the control panel (opensource or payment) in order to be able to administer a dedicated server with cPanel . In the event that the server is no longer reachable through SSH access, the reboot can be managed via a convenient web interface. The same applies to the installation of the operating system in case it is necessary to delete all data and perform a total reset. In addition, recovery software is also available to start the server with an emergency operating system. 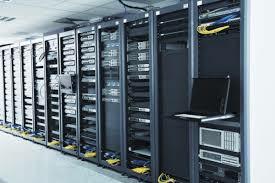 As a supplier of our dedicated servers, we chose DELL synonymous with warranty and reliability. To receive further information, communicate your data to our Sales Support to call us 042053349 . You will be contacted in a few minutes. UAE Technician is structured to guarantee the most advanced solutions in terms of infrastructure and technology for the dedicated Server.